We offer an elite array of liners made in our own facility, right here in the USA. Because we produce every foot of our liners, we can promise that you’ll get exactly what you ordered, delivered on time, every time. Each of our liners is UL listed, and covered by the Lifetime Lining System Warranty when installed by a certified solid fuel professional. 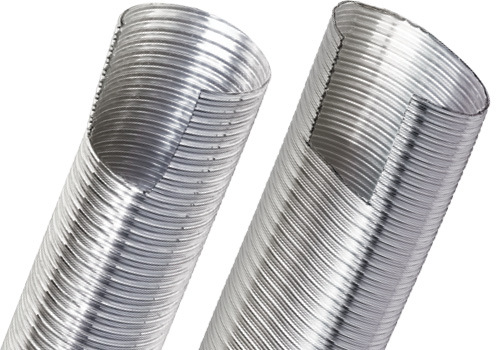 When choosing a chimney liner, our single wall Lightweight-Flex liner is your most economical choice. This liner is strong and flexible and fully covered under Lifetime’s warranty. If you are looking to save some money without compromising strength and flexibility, our Welterweight-Flex Liner is the ideal choice. Our double-layer, smooth wall Middleweight-Flex liner is built for super strength and long-lasting durability. 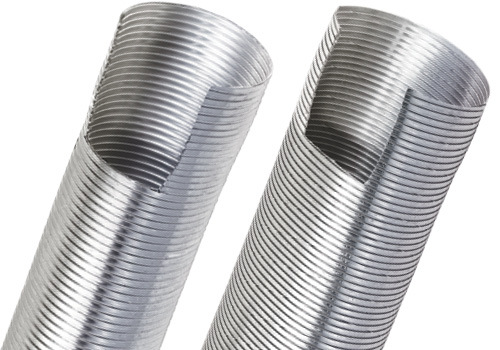 The smooth inner wall delivers up to 20% greater draft over equal size corrugated pipe. This lean and flexible liner bridges the gap between our Middleweight-Flex and Heavyweight-Flex liners. 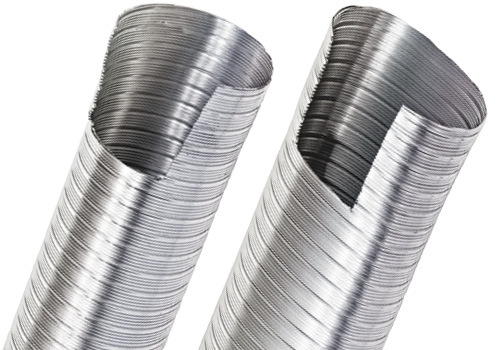 Our Heavyweight-Flex liner is double the thickness of our Middleweight-Flex for ultimate strength and durability with 20% greater draft over equal size corrugated pipe. customer service for the best buying experience.